Instagram - @lyquid_pcs If you share my build please tag me via Instagram with credit. I greatly appreciate it. I have a passion for custom built PCs with premium water cooling loop designs. I designed this build as a casual gaming build with some overclocking. This was my second fully custom water cooled build project. I wanted to take on the challenge of a mini-ITX build. I decided to build in the Fractal Design Define Nano S window edition. This case was the perfect choice as it provided the perfect package of features for a fully custom water cooled PC. 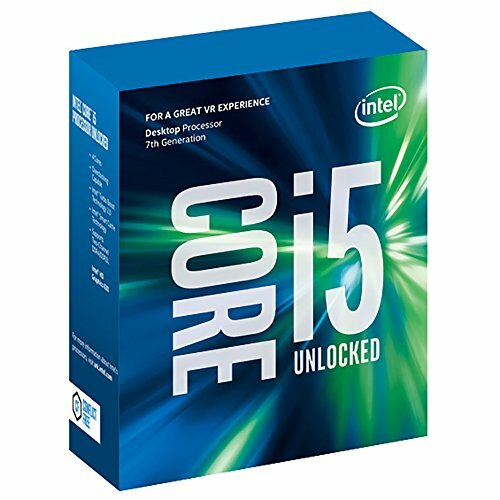 I chose the i5 7600K as its perfect for casual gaming, overclocking ability, and thermals. Paired up with the ASUS Z270I Gaming mini-ITX motherboard. This build process started with staring and pondering how I can fit a full custom loop with two 240mm radiators in the Nano S with a unique design. I decided to go with a purple, black, and chrome theme of the build. Chrome fittings with purple fluid was my initial idea and it turned out wonderfully. I chose to build with EK Water Blocks products for the CPU and GPU, PrimoChill products for the Radiators, reservoir, and compression fittings. I also used Bitspower fittings where I needed angle or splitter fittings. I wanted to install the dual 240mm PrimoChill Eximo Satin Black radiators for optimal cooling temperatures for the overclocked CPU and GPU. I also can't forget to mention the PrimoChill Vue Candy Purple SX coolant is what gives this build its color pop! Huge fan of PrimoChill products! Before doing any tube bending it's important to plan the whole loop design then mount all the hardware in the case which can be a lengthy process. Initially, at first, I didn't plan on doing much custom modding to this build as I have never done any custom mods previously. I then thought of doing a pass thru implementation in the loop as I've never done it which then led to a modding adventure for this build! The look of the coolant going into the wall and coming out adds a unique look to any loop but comes with a challenge. I ended up cutting out the whole back wall of the Nano S case. I then had a custom cut galvanized piece of sheet metal to replace the wall perfectly. The plate supports the loop pass thru fittings along with the drain port out the back of the PC. This came with the challenge of drilling the holes for the pass thru fittings which has to be measured precisely. After drilling the mount points on the new wall plate and the case itself I then wrapped it in a 3M carbon fiber vinyl to give it a nice touch. Then after mounting the plate then I was able to finally start the loop building process. If you're like me the tube bending process can be a very tedious process. Previous experience tube bending helped greatly as I had some tricky bends to complete. I finished the loop after many hours of measuring and bending. Then it came time to fill the loop with the PrimoChill Vue. I'd have to say filling the loop was very a very tricky process with the pump not being right after the reservoir. After some priming and turning and flipping, I was able to get the coolant flow. The next phase came to cutting the custom acrylic side panels. I measured and tapped thumbscrew mounts on each corner to mount the glass. I wanted as much as possible to be visible in the build is why I chose full acrylic glass panels. I sanded and polished the edges on each side of the glass panels. Finally, I knew with this case that the front radiator would be starving for air which is crucial for the custom loop temperatures. I then came up with a design to cut out of the front panel and place in meshing on the backside. I measured and tapped everything first and used a Dremel tool to cut out the design. I learned a lot from this front panel mod as it came with a lot of work with hand filing, sanding, and painting. I think it turned out awesome! This build was a lot of fun in conquering the mini-ITX full custom loop challenge! I'm very happy with the results and I learned a lot throughout this project! I learned that if you can visualize it with the right tools anything is possible. I can't wait for the next one! Let me know what you think of the build in the comments below. Thank you so much for viewing! Thank you very much for the compliments! mini-ITX builds are killer! Clicked several times on the up-arrow but only worked once. That loop took me a bit to figure it out, it is complex but very well done. Custom length cables really pay off, awesome build! The front snowflake got me intrigued initially because it reminded me of the Silverstone logo but Silverstone's is different. Awesome stuffs! Thank you for the compliments! Yes it's a unique loop no doubt. The Fractal Design logo added the right touch! UNBELIEVABLE cable job and custom loop. Well done. I'm in love with your computer!!! Is she single? Thank you! It was an adventure for sure! Agreed! ;) Thanks for the compliment! Custom cables. Check. Glass Panels. Check. ITX. Check. Custom loop. Check. Carbon Fiber. Check. Magnetic Levitation. Check. Thanks! Ya I needed more airflow from the front for the loop. This build had a lot of patience involved! Thank you! Thank you! Me too! Yes Wazz Modz killed on the handmade cables! Thanks for the kind words! It definitely to some time and build turned out awesome! I'm awestruck by that cable management job. Nicely done! Thanks! It took some determination no doubt! Thank you! Yes the PrimoChill VUE Candy Purple SX really shines! I was instantly reminded of Ivan Ooze! Thanks! It was a challenge no doubt! Kept the amount of cables minimal as possible. Unreal dude, custom loops are worth it for sure then. You really don't see this kind of thing every day... I like it, +1. Wow. Super nice looking build. Great presentation. Your cabling and tubing management is almost too perfect and clean looking. I hope to someday get to this level. All it takes is some determination! You can do it! Superb aesthetics behind the back panel. Wow! Thank you! It took some determination! Wow. This is beautiful. Well done! Very well built I must say. (whistles approvingly) Mighty Nano indeed! holy **** the cable management is astounding! +1 from me! also, CONGRATS ON THE FEATURED BRO! Thanks! Yah this build took a lot of effort and patience. I had it from a previous build actually. Thanks! Thanks! Yes the Nano S supports customs loops very well! Where did you get the mesh on the front? This build is gorgeous! I'm also just building my own costum PC within the Nano Fractal S. Could you tell my the size of the acryl side panel, that would be awesome! Sorry for the super late response! The acrylic side panels were actually custom cut with acrylic knife. Bought the acrylic in a sheet and measured the side of the Nano S. I made holes and taps for the thumb screws to hold on the panels. I've looked over 50-80 builds so far and this stands out as 1 of the most unique and well thought out builds I've seen with the cleanest cable management + lengths. the parts, the designs, the tube bends, running the loop through the back of the case, having the drain on the back is perfect. i too am a perfectionist so i can very much appreciate the thought and time put into this build. nice job. Hello Mike! Thank you for the kind words on Mighty Nano. I can't believe its almost been a year since I finished it. This ITX build took a long time to plan and create. Lots of thought in the loop design. I thought it turned out great which the only exception filling and draining comes with a bit of challenge. All in all the loop turned out great! Definitely was a challenge squeezing it all in the Nano S. Thank again! 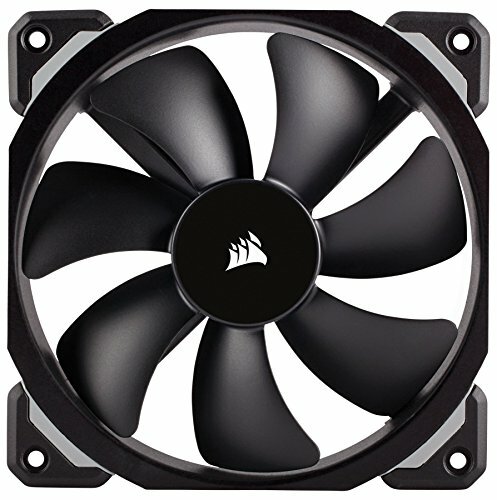 Was your first water-cooled build also hard line? I thought it was a perfect name as well! Thanks for the kind words! No problem. Glad you enjoyed viewing it!